Are you interested in using social media to market your hotel but don’t know where to start? Hotels of all sizes are achieving great results using social media marketing to engage with current and prospective guests. One of the wonderful things about hotel social media marketing is that you don’t have to have an enormous marketing budget to successfully use this strategy. While many hoteliers engage in paid search marketing and hire a digital marketing agency to manage their social media marketing strategies, there is another option that is absolutely free: you can learn how to use social media marketing to promote your hotel and manage this powerful marketing strategy on your own. It’s easier than you might think; our quick guide explains how you can be successfully promoting your hotel through social medial marketing in just 5 easy steps! Avoid the new marketer mistake of over-extending yourself by trying to establish a presence on too many social media platforms at once. Instead, choose three or four social media platforms that your prospective guests are likely to use. You should probably start with Facebook and Twitter, as these social media platforms are well-established and popular with most travelers. Consider what social media platforms are the best match for your desired customers: If your hotel caters to business travelers, LinkedIn may be the most efficient way for you to reach your target audience. Instagram is a versatile social media marketing platform that will boost engagement with a variety of hotel audiences. YouTube is a highly effective social media marketing platform that holds appeal for almost all hotel guests, as you can feature different videos to suit the audience you want to attract. Spend some time surfing around different social media marketing platforms to find the best match for your target audience and brainstorming social media marketing ideas. Adding photos and videos to your Facebook posts and Tweets can vastly increase your hotel’s marketing reach. Guests are much more likely to pass your hotel’s posts onto their friends when you do – Twitter reports that on average, adding a video increases retweets by 28%, while adding a photo results in a whopping 35% boost in retweets. Warning: always check the licensing on images and videos before using them in your social media hotel marketing strategies to make sure you are not violating any copyright laws. You can vastly increase the effectiveness of your hotel social media strategies by optimizing them for search. Just apply the same SEO strategies you use on your hotel website and blog: incorporate keywords in your page title, postings, and alt tags to raise the visibility of your hotel’s social media marketing strategies. The key to building a following on social media is consistency. Once travelers know they can always find interesting posts, tweets, videos, etc., they are more likely to become followers and share your posts. Trying to remember a strict posting schedule on top of running your hotel can be difficult; outlining your month’s posts on a social media posting calendar will make it much easier to stay on schedule. 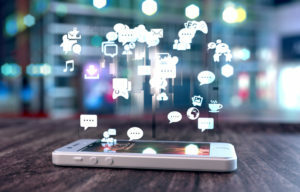 Social media marketing for hotels does more than just engage customers and build your hotel’s brand; they also provide you with a great deal of information about your guests’ browsing habits and interests. Use this information to improve all your hotel marketing strategies and deliver a better overall experience for your guests. If you find you’re too busy with the day-to-day business of running your hotel to manage its social media marketing strategies on your own, Travel Tech Strategies is here to help. Our marketing team can provide you with a monthly social marketing maintenance package, and even help you develop a complete internet hotel marketing plan that includes responsive hotel web design, expert SEO services, and much more. Contact us at Travel Tech Strategies today at 954-779-2801 for help implementing hotel social media marketing strategies to ensure your hotel’s success!